Ammo cans will be a great alternative to use instead of sandbags. 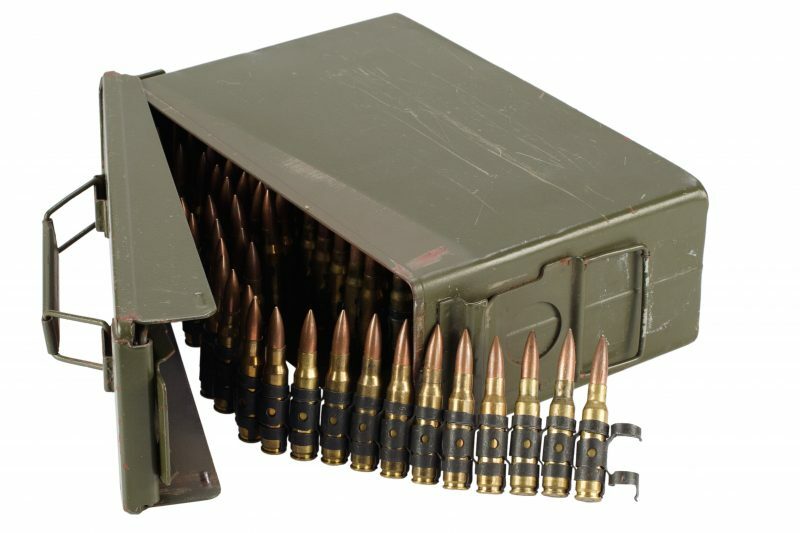 Military ammo cans are durable, long lasting, great for storage, widely available, and incredibly cheap at less than fifteen dollars each in most sporting goods stores, pawn shops, and online stores. So, with that in mind, why wouldn’t you have some in your possession? Ammo cans are multipurpose and highly versatile. They can be used for anything from hiding survival caches and general storage to helping defend your home – alongside their intended use as ammo storage. 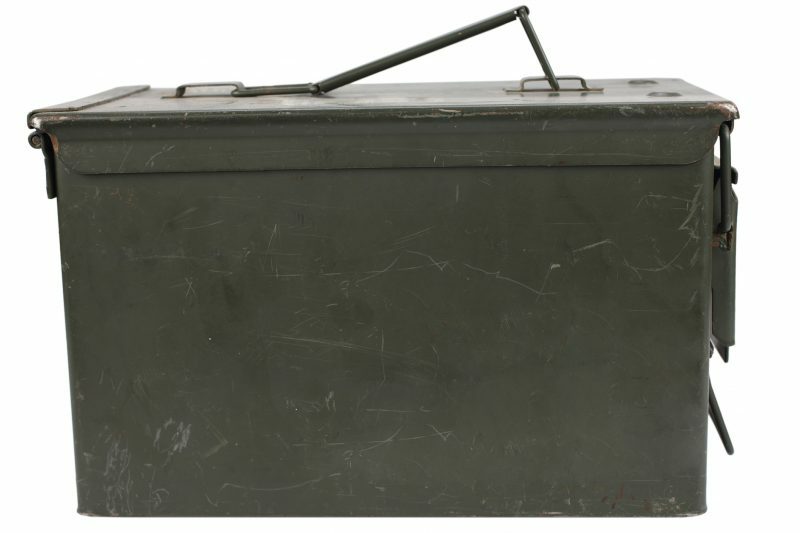 Basically, an ammo can is a durable metal can that locks shut and comes with a seal to keep water and moisture out. When properly shut, they are able to be completely submerged in water for a long period of time and still keep the contents within completely dry. This is the obvious use for ammo cans. Just store your ammunition in them, throw in a desiccant pack, shut the lid tight, and you’re all good to go. 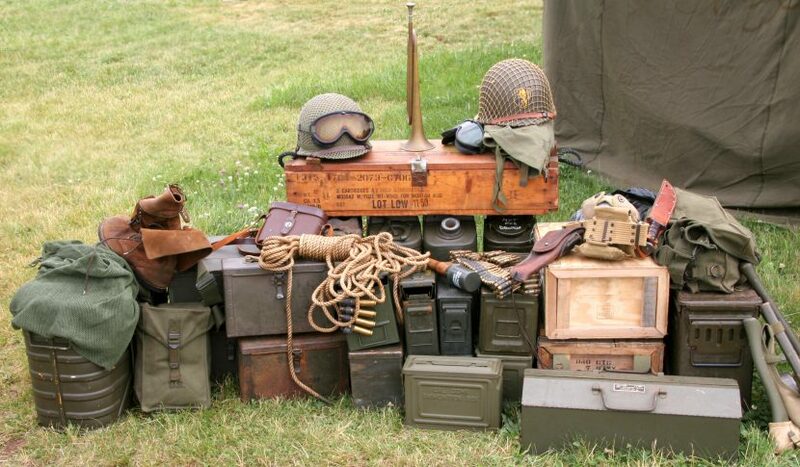 In all honesty, you can store virtually anything you want in an ammo can – from food and water to first aid supplies and anything else. As they do such a good job of keeping moisture out, they will do an excellent job of keeping the contents inside dry and well protected. 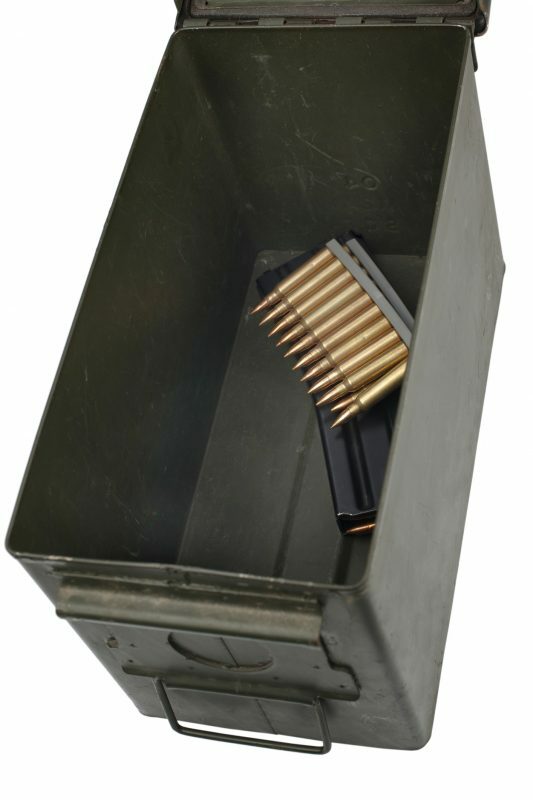 There’s no question that an ammo can is truly one of the very best containers to use as a survival cache to bury out in the woods somewhere. A survival cache is simply a container of survival items that you bury at a designated location and that you can go to in order to resupply yourself at a later date, should you ever need to evacuate your home. It’s commonly a good idea to bury your cache en route to a bug out location. 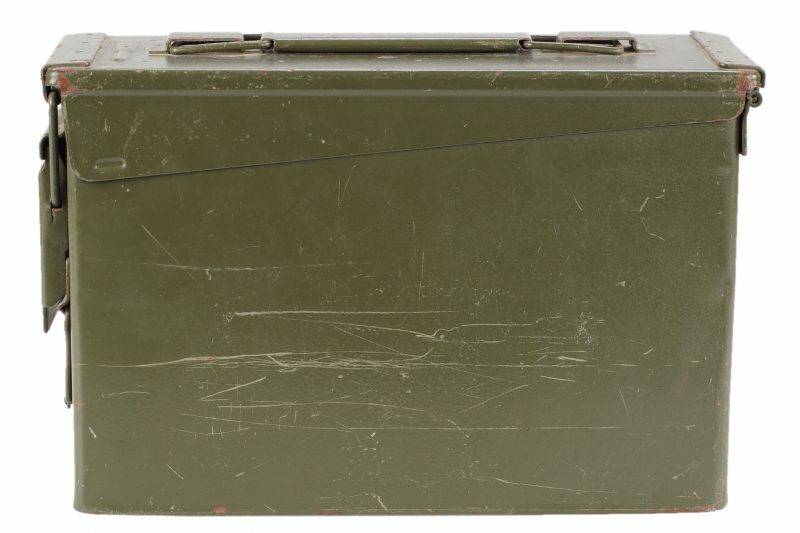 An ammo can, if properly closed and sealed off, can be buried deep into the moist ground and anything that you store inside will be kept completely dry. The cans are large enough to store a wide variety of items at once. The only real negative is that they can be heavy and a pain to carry around afterward, but you can remedy this by affixing a strap or bungee cord to the handle. Should you need to beef up your home defenses in an SHTF disaster scenario, ammo cans make a great alternative to sandbags. Fill the cans up with rocks to keep them weighted down, and then stack them on top of one another at your windows. They should help to resist incoming gunfire and provide you with plenty of cover. Place multiple candles inside a can and then shut the lid. The box will begin to heat up, and that heat will begin to radiate out to help give you warmth. This is a little-known survival trick, but it works both indoors and outdoors. Take an ammo can and drill four or five holes through the bottom. Then, fill it up with water and quickly proceed to shut the lid, affix a bungee cord to the handle, and then lift it up using a tree (affix one end of the bungee cord to a stake in the ground, wrap the cord around a five to six-foot-high strong branch protruding from a tree, and then affix the other end to the handle of your can). The water will drain through the holes, and you’ll have yourself a makeshift shower. Ammo cans are a very valuable investment for any prepper, and they never cease to be useful in a variety of circumstances.